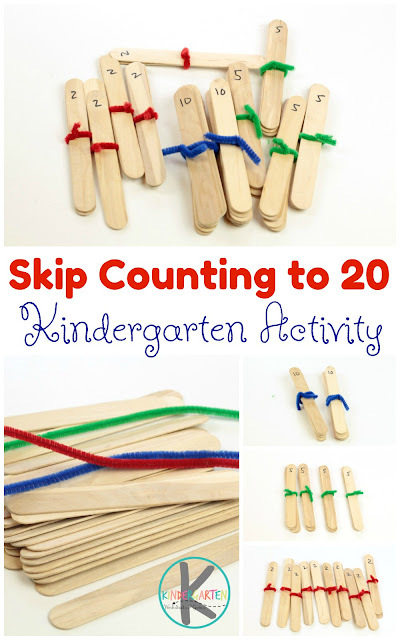 You can teach kindergarten kids to skip count to 20 in a concrete way they can understand in this super-simple Craft Stick Skip Counting Activity! Skip counting is a vital skill that kids need to make addition and subtraction easier and to make multiplication and division a breeze. Even young kids in kindergarten can learn to count to 20 through skip counting with these hands-on counters. 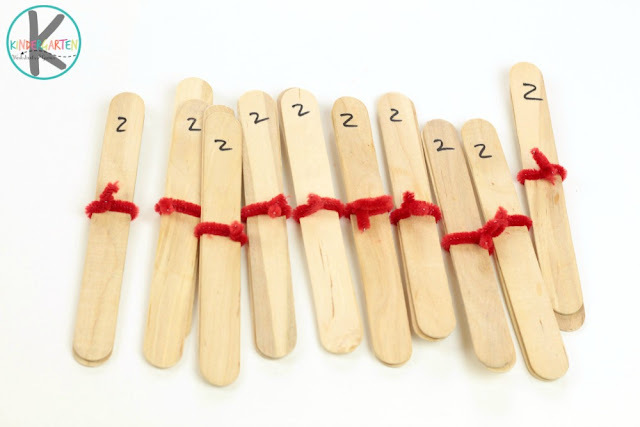 This Craft Stick Skip Counting Activity helps kids visualize the numbers they are “skipping” when they count by 2s, 5s, or 10s. 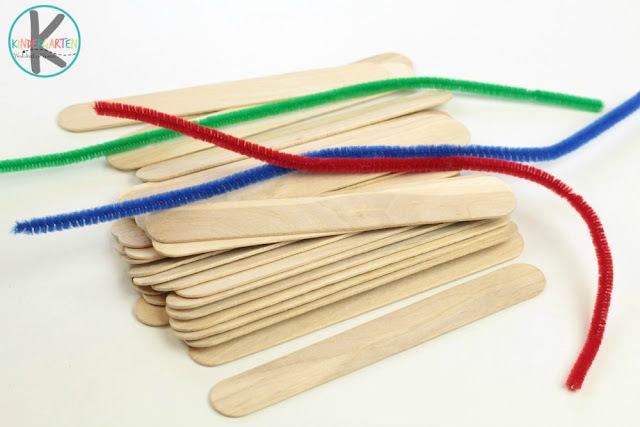 These craft stick bundles help children the somewhat difficult concept of abstract numbers. Kids will love playing and counting with the bundles once they realize they help speed the counting process. You just need a few things to make these craft stick counters. 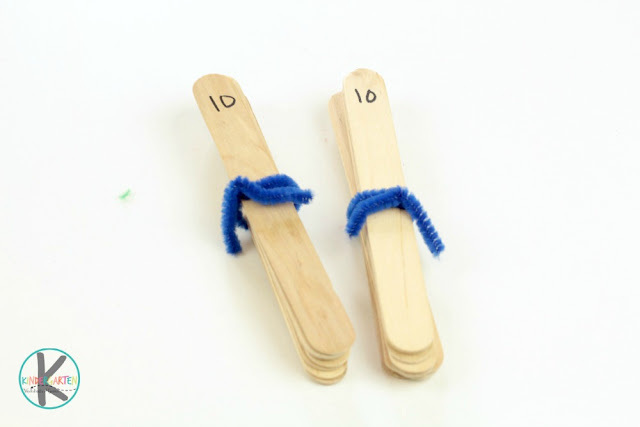 These simple tools make the perfect addition to hands-on math time and work well in any math learning center. Divide your craft sticks into piles of 2, 5, and 10. If you only want to count to 20 you’ll need 2 bundles of 10, 4 bundles of 5, and 10 bundles of 2. HINT: You can also lay out 20 individual craft sticks, each labeled with a 1. Tie the bundles together using the same color for each type of bundle. 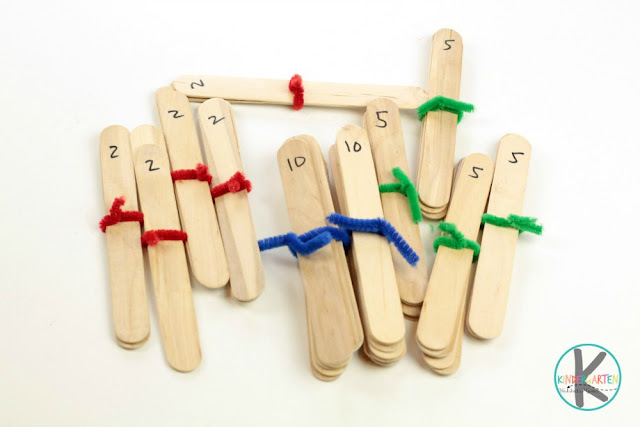 Write the number of craft sticks in each bundle with a permanent marker. Show kids how to practice skip counting to 20 using the craft stick bundles. Show the kids how to they can count each stick individually, or when counted as a bundle, you get to skip numbers and reach your destination number faster. 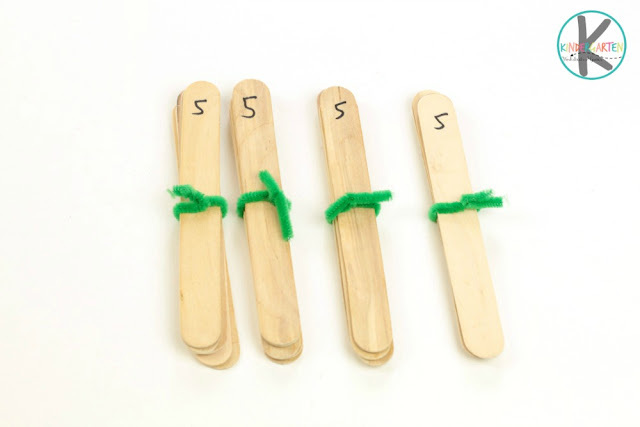 Let kids explore how each way of counting is the same number of sticks, but getting to there is a little different with each way to skip count.